Nurse Keith's Digital Doorway: "Nurse Coaching: Integrative Approaches for Health and Wellbeing"
"Nurse Coaching: Integrative Approaches for Health and Wellbeing" was authored by my friend, colleague, and fellow Santa Fean, Barbara Montgomery Dossey, as well as by Susan Luck and Bonney Gulino Schaub. This book is "the first comprehensive Nurse Coach textbook that describes the theoretical and clinical relevance and practical application of an innovative, integrative, holistic, and integral nurse coaching model." According to the description on Amazon, "this user-friendly book will guide your Nurse Coach practice to promote lifestyle behavioral change for health and wellbeing for both the nurse and the client/patient. It can be used in all healthcare environments and implemented in diverse settings including hospitals, communities, and private practice." 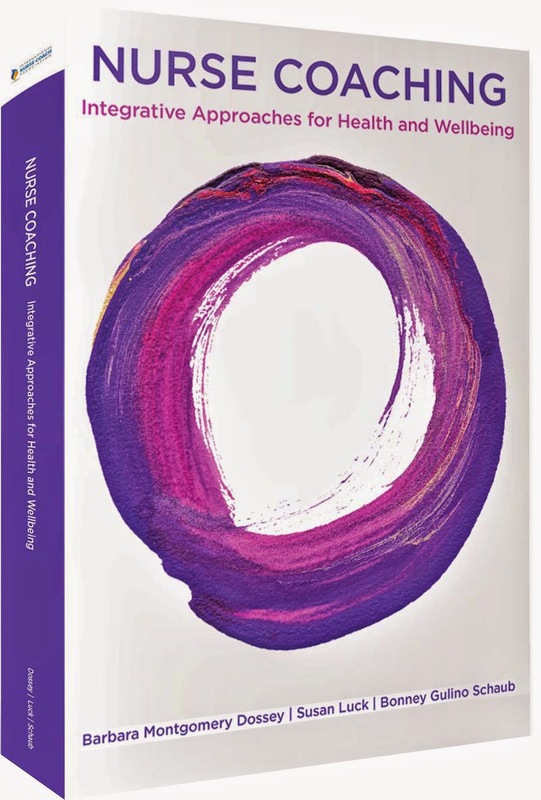 In addition to practical applications for nurse coaching, theories and strategies of integrative coaching are part and parcel of this valuable new text, as well as evidenced-based coaching methodologies and practices. This book is for all nurses and other health care providers seeking coaching knowledge and skills, and you can find more information on the Integrative Nurse Coach Certificate Program by visiting www.inursecoach.com/programs. To purchase this important text and support this growing movement, please click here. The professional opportunities for nurses who would like to integrate coaching into their careers are endless, and the excitement among the growing community of nurse coaches is growing. For nurses interested in this area of nursing career growth, this is a time of exponential expansion. To learn more about Barbara Dossey, you can listen to a wonderful interview from March, 2014 on RNFM Radio by clicking here. And to hear what nurse coaching pioneer Linda Bark has shared on RNFM Radio regarding this new nursing specialty area, click here. There will be new interviews with both Barbara and Linda during the course of December, 2014, and these links will be added to this post as they become available. Here's to the rising specialty of nurse coaching!